The other day Annie got tired so Mommy put her in my stroller. 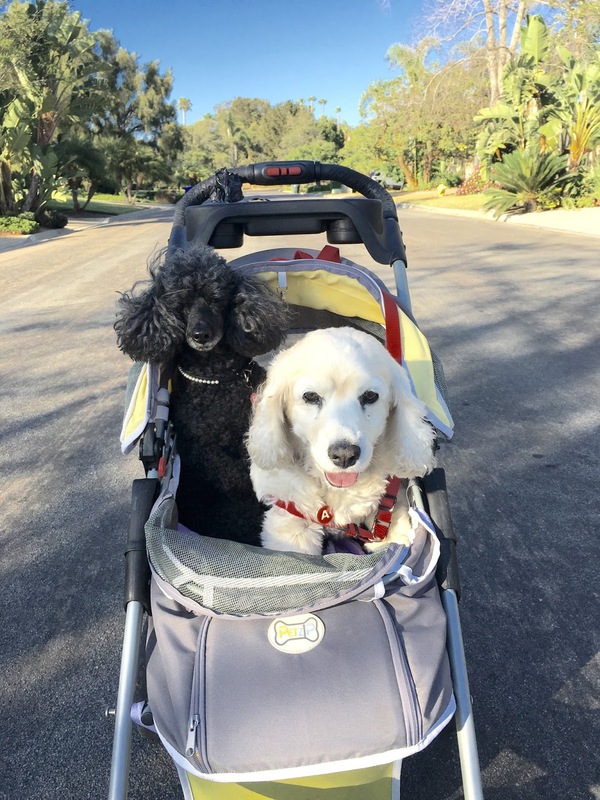 This got me to thinking about my Uber Stroller idea again – Rosy Rueber. I could expand it to medium size dogs like Annie. However, I may need to look into a larger stroller. I do get a bit squished. Do you think I should go on Shark Tank with this idea? Thanks! I'm not scared of sharks. I remember peeing on one at the beach! Bear blogged about it! http://lovealwaysbear.blogspot.com/2012/07/shark.html RosyPoodleKisses!